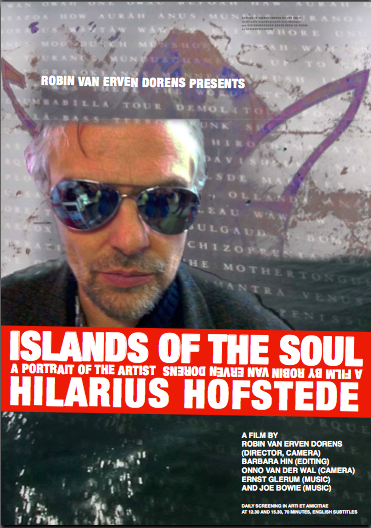 Islands of the soul is a very personal documentary portrait of the visual artist and poet Hilarius Hofstede. The film covers a period of 15 years of the life and work of Hofstede, showing him at work, during exhibitions and travelling. Hofstede is constantly struggling with finding new ways to express his visions on the world and the position of the human in the universe. His bipolarity is at the same time a terrific source for eccentric artistic points of view but also a terrible burden for his personal life. The film is made for the theater. The viewer experiences a world he/she hasn’t been in before.